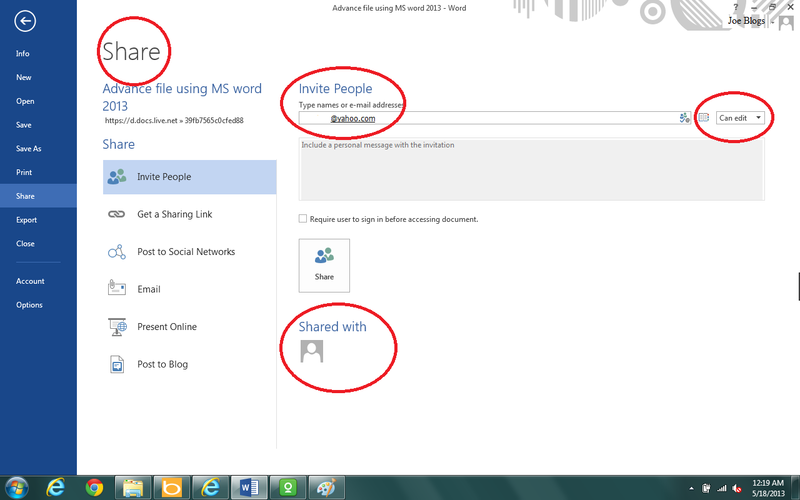 Now you can share your documents with more advanced and sophisticated features of the Word 2013. 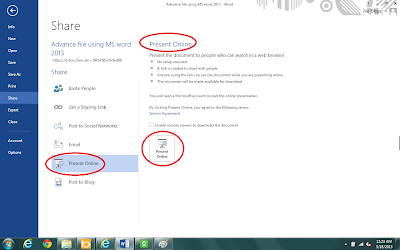 Once you stored a file on Microsoft SkyDrive, then it can be share with the help of many advance features, that comes with MS Word 2013. For example you can share your files by sending the full file to a user, or send only the file link to a user/s or using social network for sharing and even post your document to a blog as it is, without formatting. 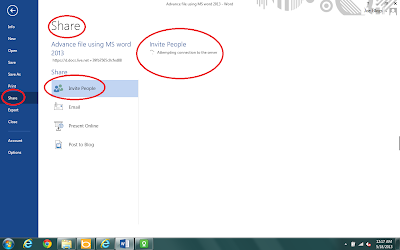 Sharing your file by inviting people using email: How to? 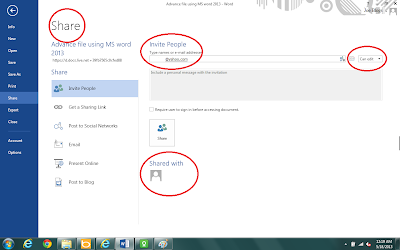 Before sharing your file using “Share” option of Word 2013, the file must be stored on Microsoft SkyDrive. 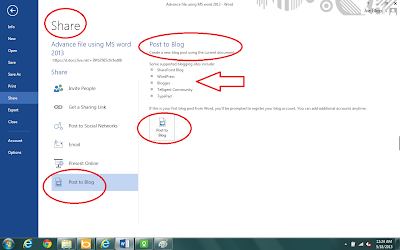 So first store your file on SkyDrive and then follow the following steps. 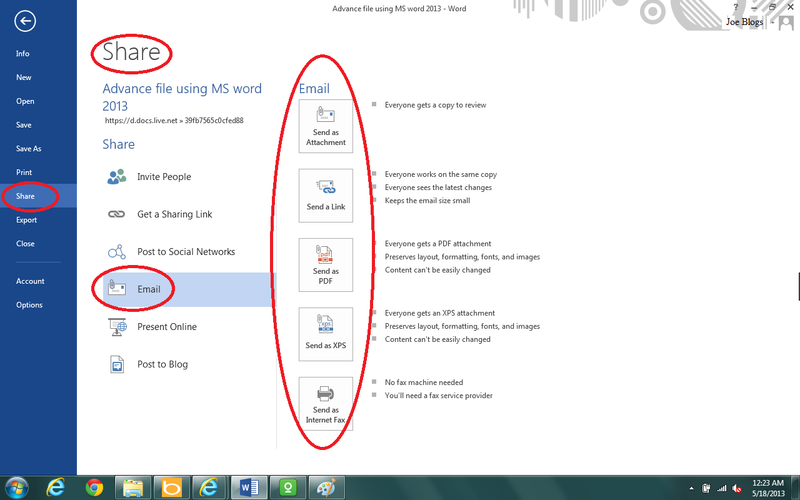 Step 1: Click on the “File” menu of the MS Word 2013. 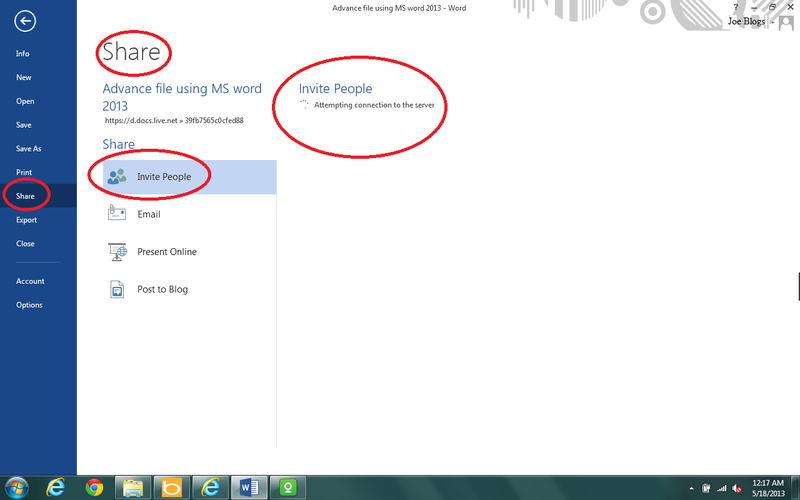 Step 4: Type email address in the text box appeared on the right side of “Invite People” as shown in the above figure. 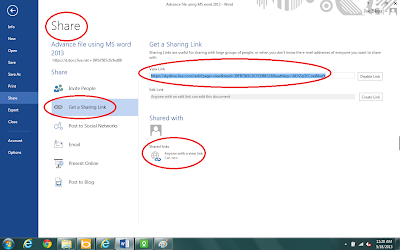 Step 5: Click on “Share” button. This will notify the email owner that the file has been shared with you. This option is useful in a case you don’t know the name or address of the person with which you are going to share your file. It is also useful for sharing with group of peoples. 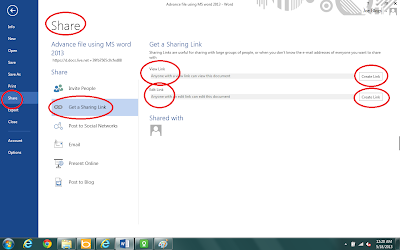 Sharing your file by Get a sharing link option: How to? 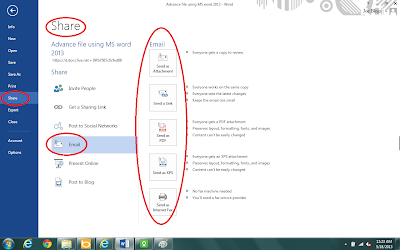 Step 1: Click on the “File menu” and then click on “Share” option. 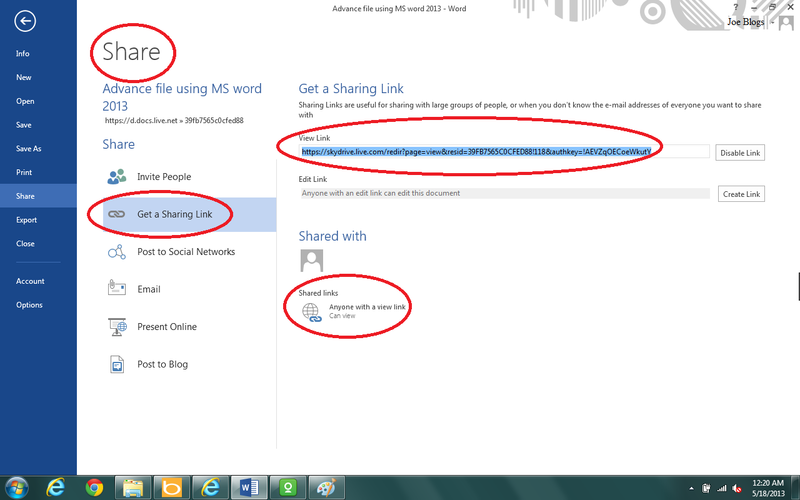 Step 3: Click on the “Create Link” option after doing step 2, as showed in above figure. 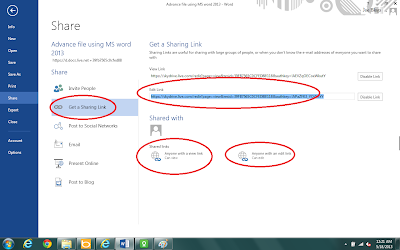 Step 4: Now take this file link (shown in figure) and share with your friends using email or by any other method i.e. using social networking site or even in your blogs. Note that you can even edit your link as shown and highlighted in below figure. 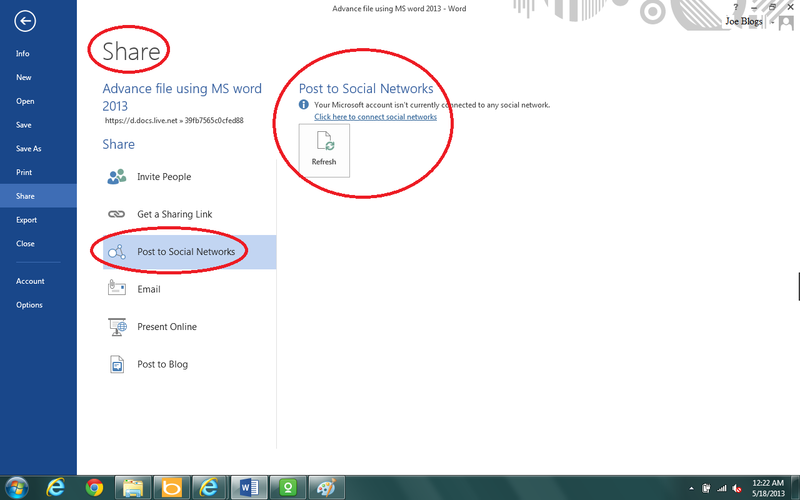 Post your file to social networks: How to? By social network, I mean site like Facebook, twitter, Google+ etc. 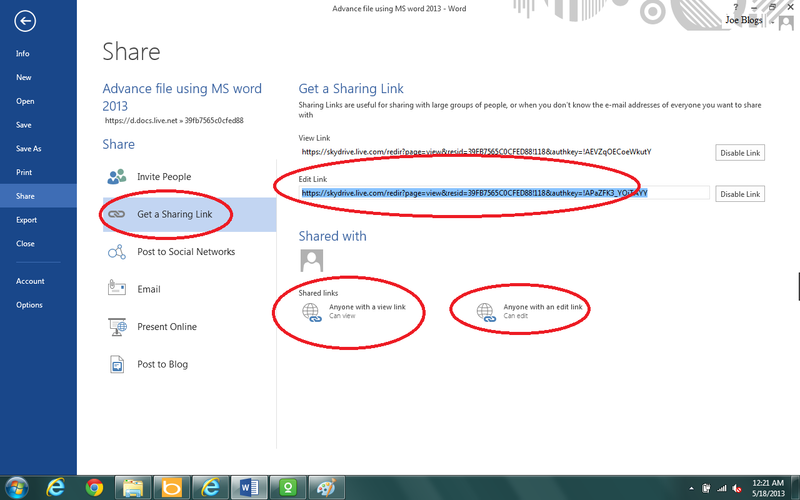 Step 1: Click on “Share” option as appeared on the file menu. 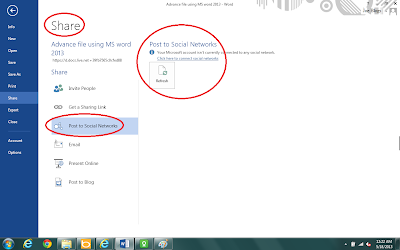 Step 3: Click on the hyperlink “Click here to connect to social network” as shown and highlighted in the above figure. After connecting to social network, your file will be posted to social network and the people and friends with you can see and download your file. 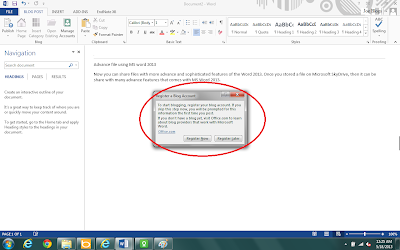 Share your file using multiple optioned email: How to? 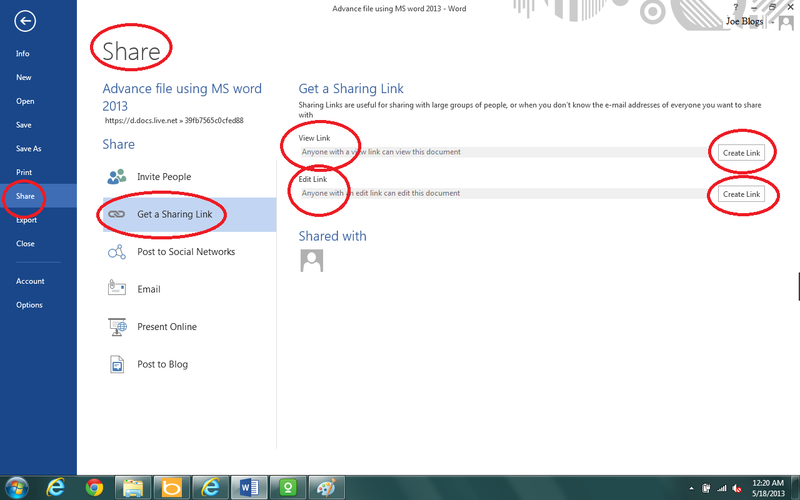 Step 1: Click on “Share” option appeared on file menu. Here you have the following multiple choices i.e. highlighted on above figure. This multiple options has its own purpose. The purpose is written in front of every option and can be seen clearly.Refer to above figure. 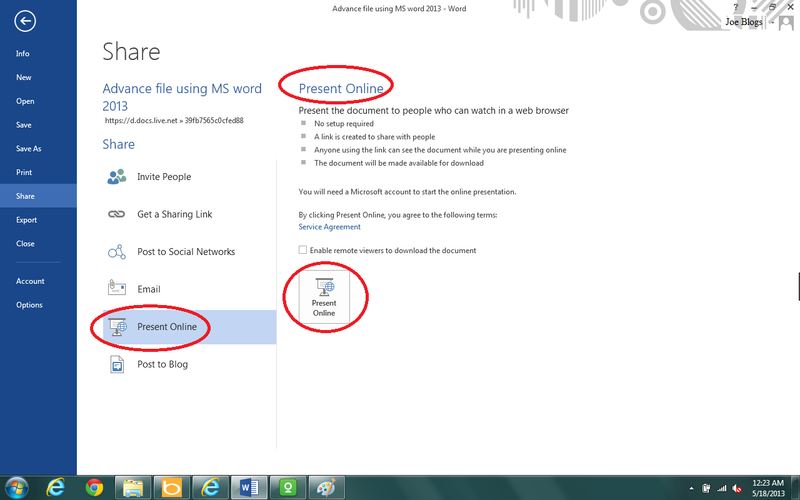 You can present the document online by clicking “Present Online” option under “Share” option. This helps a user to read the document directly in browser. Shown in figure. You can also post your file to a blog, without wasting time on their formatting. 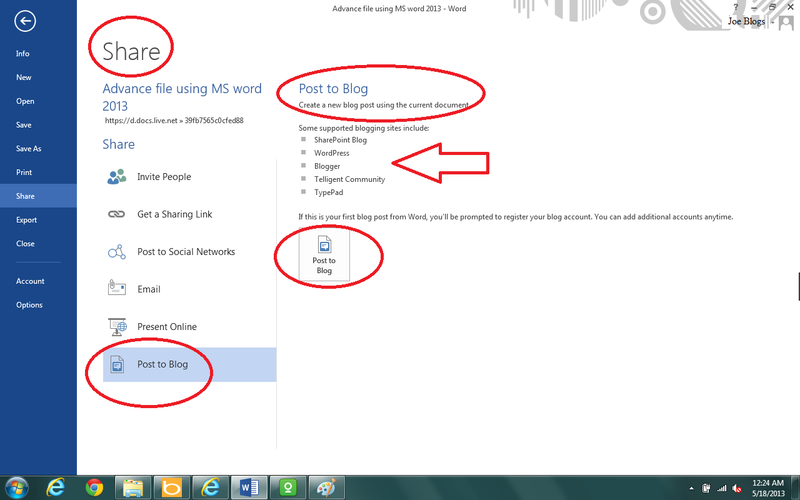 Just click on “Post on Blog” under “Share” option shown in the following figure. Note that when you are going to post this document to a blogger site for the first time, you will be prompted for registration to your blog site as sown in the following figure.